Nicogrch a LordSkunk.com Community Members sent the below info via Discord. I love people who use math and equations when coming up with best characters, etc.. Check out what he has to say below. 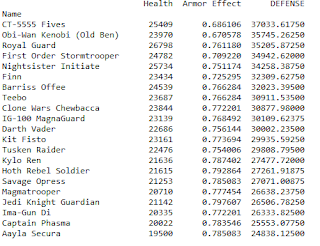 I am not sure if it is any interest for you guys, but I have had a quick look on the statistics given by SWGOH cantina for the level 80. I have given a score to each character on Offense (Speed, Damage, Phy Crit, Armor Penetration) and Defense (Health, Armor). This score does NOT take into account the different abilities of the specific characters. 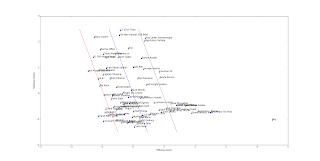 I can give you the exact formula but the idea beyond ‘Offense’ is to calculate the corrected_damage (taking into account Crit chance and Armor Penetration) * speed. 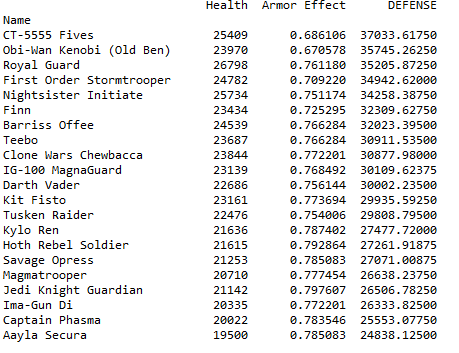 For ‘Defense’ the idea is to calculate how much Damage a character can take after using the damage reduction implied by his armor. 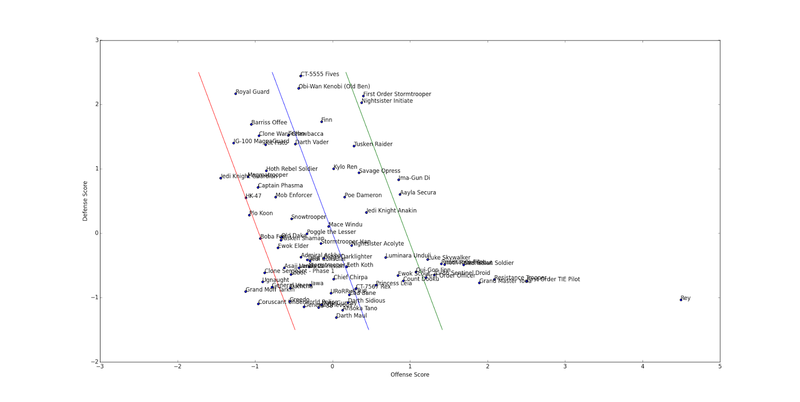 As you can see, Rey is by far the #1 damage dealer and she is not as squishy as Greedo, Darth Maul, Sidious (who doesn’t look that interesting anymore). 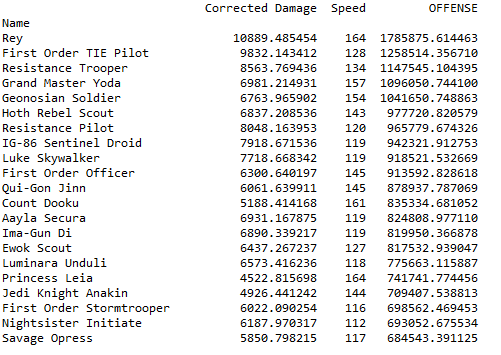 Yoda (mainly because of his AOE), Resistance Trooper , Resistance Pilot, FOTP, GS, IG-86 are good damage dealer as well. 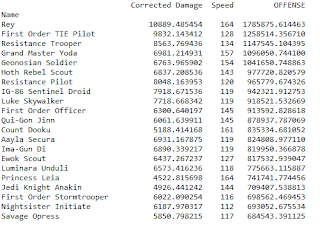 Ima Gun-Di, Ayala Secura, First Order Stormtrooper and NightSister Initiate seem to be very interesting as they deal more damage*speed than average and can absorb significant damage. On the other side, Coruscant Underworld Police, Ugnaught, Grand Moff Tarkin, General Veers, Clone Sergeant seem to remain lackluster.